Agencies and businesses that perform work for the federal government are under increasing pressure to comply with standards for safeguarding, handling and marking controlled unclassified information (CUI). Executive Order 13556 and NIST SP 800-171, Revision 1 Protecting Controlled Unclassified Information in Nonfederal Information Systems and Organizations, outline recommended requirements for protecting the confidentiality of CUI for those operating outside federal datacenters and systems. Adding further pressure, the United States Department of Defense (DoD) is leveraging these recommendations when requiring civilian organizations to meet the security requirements for protecting the confidentiality of Covered Defense Information (CDI) as spelled out in clauses 252.204-7008 (Compliance with Safeguarding Covered Defense Information Controls) and 252.204-7012 (Safeguarding Covered Defense Information and Cyber Incident Reporting) of the Defense Federal Acquisition Regulation Supplement (DFARS). With these mandates, the government is providing greater protection for unclassified data and at the same time enhancing the openness and uniformity of government data. By standardizing and simplifying the safeguarding and dissemination of unclassified information through CUI compliance, the Order addresses the often-confusing guidance on how to handle what was previously designated as Sensitive but Unclassified (SBU) information. Currently there are over 100 different ways to classify SBU resulting in inefficient, inconsistent, often opaque handling of information. Inventory data: Understand who uses it, where is it located, how is it currently protected, where does it end up, who do you need to train? The foundation of all our cybersecurity and risk services is our Enterprise Compliance Management Solution (ECMS). This cloud-managed service becomes the central system of record for your integrated risk management program. Using ECMS, the TalaTek team collects and analyzes data and delivers your findings and action plans. With this key information in place, you can leverage ECMS as the foundation of your NIST 800-171 and CUI compliance program, integrating all of your risk, compliance and IT security data into a single system of record to provide a true enterprise view of your risk status. ECMS ensures your risk management processes are centralized, integrated and efficient, and provides you with powerful data aggregation and risk measurement across your organization. The result is immediate visibility to risk measures and compliance status, enabling timely and informed risk decisions and prioritization across the enterprise. 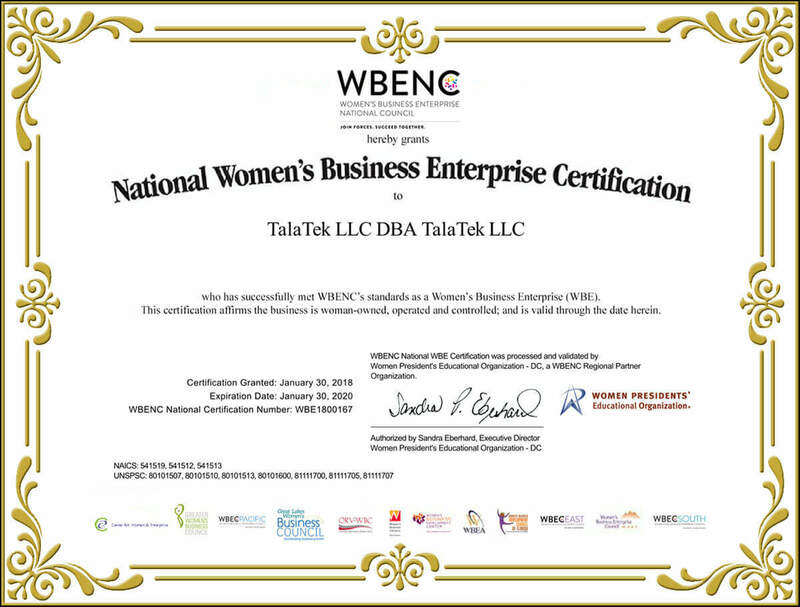 To learn more about how TalaTek ECMS can help you achieve NIST 800-171 compliance, download our datasheet or contact us today.